AHTA hosts Social Media for Tourism Marketing workshop. 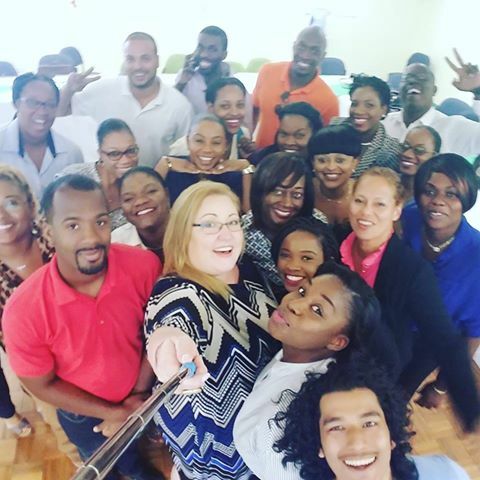 The Antigua Hotels and Tourist Association (AHTA) engaged representatives from various entities in the tourism industry and the Antigua and Barbuda Hospitality Training Institute (ABHTI) in a workshop on “Social Media” last Monday. 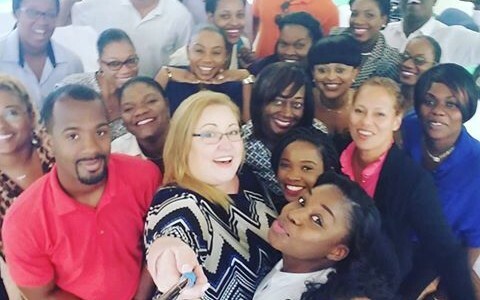 Participants hailed from South Point, Jumby Bay Rosewood Resorts, Curtain Bluff Resort, Ellen Bay Cottages, Galley Bay Resort and Spa, Indigo Events, the Antigua and Barbuda Tourism Authority and Goddard Catering among others. The representatives’ experience in the field varied from customer service to marketing and culinary services. The sessions were facilitated by Director of Communications for the Caribbean Hotels and Tourism Association (CHTA), Adriana Serna. Serna stated that the objectives of the workshop aimed to provide the participants with information on the effective use of social media to enhance the competitiveness of their properties or businesses. “With social media, you can compete online, if you have really good content and you are strategic and know what you are doing. Those present engaged in a social media one on one for business and they also received information on best practices in the industry and all of the different platforms so that they can replicate that success themselves”, she stated. Serna said that the participants will subsequently receive all of the materials shared during the forum to include the presentations. “As a follow up, we are going to do a survey, to see what kind of forum that we can build and the participants will get to choose the forum, that is more comfortable for them so we suggested and through around ideas and created a facebook group for people who took the course”, the consultant explained. She expressed the hope that the information shared will significantly assist in boosting business in the respective organizations and looks forward to the success stories. AHTA’s Training Programme Manager, Anthea Watkins, expressed her satisfaction with the level of participation and positive feedback that has been received. She added that the workshop was an overall success and suggested that the participants are now more equipped to market their products and services online through twitter, Facebook, Instagram, Pinterest and Snapchat, which all cater to different markets.